Home is a place where we can make memories, relax and be comfortable, so it's no surprise that many seniors wish to remain home instead of relocating to an assisted living facility. Their memories are at home. Their things are at home. It may be worrisome for some family members to leave their senior loved ones at home, due to the fear of them falling or injuring themselves, and that's why there are services in place to help with these risks. 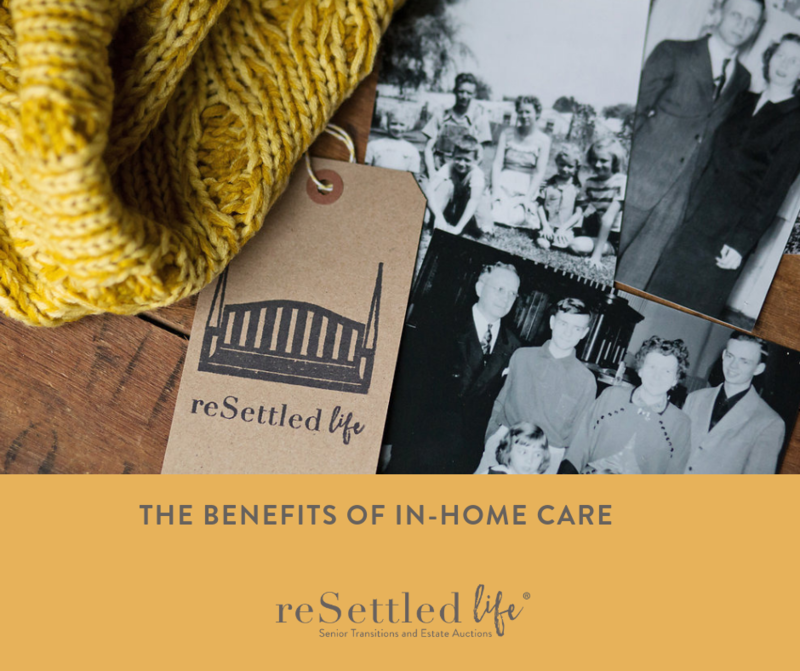 The benefits of in-home care are numerous. Let's discuss if in-home care may be right for you or a loved one. It's important to note that it's a good idea to speak with your health care professional to see if you or your loved one is able to stay in the home. Often times, the home tends to be too much for a senior, especially if there are a lot of stairs to climb or if it's too big to keep up with, so speaking about this option with a skilled professional is important. In-home care professionals can make helpful adjustments to a senior's environment to help prevent injuries. For example, if there is a slippery floor in the home, an in-home care professional may place a non-slip pad or rug in that area to prevent a slip and fall from occurring. Seniors should be able to “age in place” comfortably and safely, so it's important to declutter, make modifications around the home and address any issues. This will help seniors stay safe if they wish to stay in the home. In-home care professionals can also help with nutrition to ensure that you or a loved one is staying as healthy as possible. They can aid in nutrition counseling and can even arrange for healthy meals to be provided. In just being there, it can help seniors live a more fulfilling life and help to keep their spirits up, while getting them out and active. Remember, speak to your health care professional to see if in-home care may be right for you or your loved one. In-home care professionals understand the importance of home and can do wonders for the overall health and well-being of seniors to maintain comfort and companionship within the home. If your health care professional does believe that being at home is the right fit, it is important to work with a professional Senior Move Management Company that can help you with decluttering and organization and make your environment safe and easy for you to be independent in the comforts of your family home.